I take two main approaches to my treatments: Relax, and Restore. These are the best reflections of my clients’ conditions. However, we’ll always have a thorough consultation first. This will allow me to learn more about you, and tailor the treatment to suit what you need. This treatment allows you to completely unwind, like you’re floating away on a fluffy cloud. Relaxation massage is soothing and effective. I’ll work on key areas of pain, but will also focus on allowing you to relax, be calm, and take some time to escape from life’s stresses and strains. It’s quite possible that you’ll fall asleep, but this is absolutely fine. In fact, it can be quite flattering – as it’s clear that you’re truly relaxing. I won’t need much feedback from you, as I won’t be using many deep tissue techniques. Therefore, you can simply switch off and unwind. If there’s a particularly painful area you’d like me to focus on, do let me know before we start the treatment. Then, you can drift off and relax. Treatment frequency: as often as required. This treatment is designed to ease chronic pain and help restore your full range of motion. It’s a specialised, dedicated treatment, meaning that we’ll work together to target areas of chronic pain. I’ll use techniques such as deep tissue, trigger points, fascial work and stretches. We can chat through these so you can learn more about them, and we’ll see which technique suits you best. Unlike the Relax treatment, I’ll require feedback from you during the session. You’re an active participant in your treatment, so you’ll need to tell me how the pressure applied works for you. In fact, you’ll even be given homework! This interactive approach helps ensure that we’re getting the most out of your treatment by effectively targeting the key areas of chronic pain. Treatment frequency: we’ll find this out during our consultation. Chronic pain can become severe, and build slowly. Therefore, it can take a number of sessions to ease – there are, sadly, no instant fixes. However, a few sessions can result in a clear decrease in pain. Your treatments are completely tailored to you. Therefore, I’ll happily add Indian Head Massage, Facial Rejuvenation, or Hot Stones to any of your treatments. These additions to your massage help soothe and relax more areas of the body, as well as target further areas of pain. They’ll help you look and feel refreshed, relieving symptoms of anxiety, restlessness and insomnia. 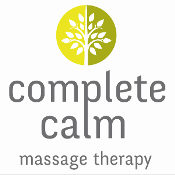 I can add these complementary massages into your treatment. However, if you’d like Hot Stones, please do let me know in advance – they take a while to heat. Fiona has magic in her healing power. I had an acute pain from my neck to my shoulder, however Fiona’s attention to muscle details and with the right pressure I felt at least 75% better and able to move with no struggle after one hour massage. Fiona is a professional who arrived well in time, prepared, and paid high attention to medical history. It was a blessful experience, highly recommend her and look forward to my next appointment.